out on the road and needs a mobile car window replacement, we’ve got you covered. Auto Glass of Lewisville offers a fast and reliable mobile window repair service. We can get to you quickly and in most cases, our company provides same day service. We will be happy to also provide our clients with a quote in other cities. Areas such as Dallas, Denton, Coppell, Flower Mound, Carrollton, The Colony, and Richardson just to name a few which will also be eligible to receive our free mobile windshield glass service. If you prefer coming to the shop we will be more than happy to fix your broken window or cracked windshield. Window regulators are also part of what we do here at Auto Glass of Lewisville. To repair a truck or car window regulator most of the time just the regulator needs to be replaced, but there are times when the motor or the window must also be repaired to properly fix the side window. What separates us from the competition? Customer service, we always put you our customers first. We strive to provide excellent customer service as well as premium installations. The reason for our top-notch customer service is because we try to earn our customers for life. So if you’re in need of a broken window replaced, or just a windshield install, give us a shot. 214-865-6058 and you won’t regret it! Our glass shop in Lewisville is the best choice in town for all your windshield needs. wind noise we will send a certified technician back out at no charge and repair the problem. 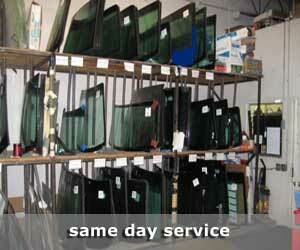 Largest inventory of new quality auto glass parts for most vehicle makes and models. Certified technicians all with over 8 years of experience. Auto Glass of Lewisville has the highest skilled techs trained in order to meet all your glass needs. We only use certified technicians when it comes to our work, whether it’s for commercial, residential, or automotive we get the job done right. Our company prides itself for having all our technicians with over 8 years of experience in the industry. So we get the job done in a very timely manner while the installation is done professionally. Throughout the metro area, our company is known for having some of the most talented and genuine employees we’ve gathered over the years. We are proud to offer our quality Lewisville auto glass replacement services and outstanding customer service to commercial or fleet accounts. So if your company or organization is in need of our windshield replacement services, please don’t hesitate to inquire about our bulk specials. Please contact us and let us know how Auto Glass of Lewisville or one of our affiliates like Plano windshield replacement or Grand Prairie auto glass can be of service to you or your company. We also provide commercial and residential window service from our Frisco glass shop. All of our services from replacing a window on your house or automobile are done with pride in a professional manner.